240 Entertain Your Brain Puzzles. Take the Sudoki challenge if you dare! 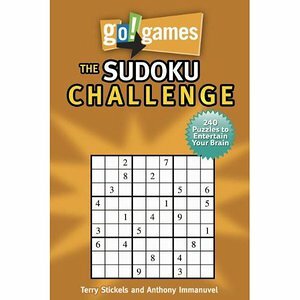 Featuring five levels of difficulty, from very easy to very hard, these beautifully and logically constructed grids offer solvers just the right amount of difficulty, allowing them to stay focused and fully enjoy the experience.